Actually, our love affair with Posterous ended long ago. As you know, Twitter acquired Posterous in March of last year and immediately, the platform began experiencing bugs and other maladies making it terribly trying to use. Even before the acquisition real estate pros were able to download the WordPress APP to their smartphone thus rendering the simplicity of Posterous irrelevant. 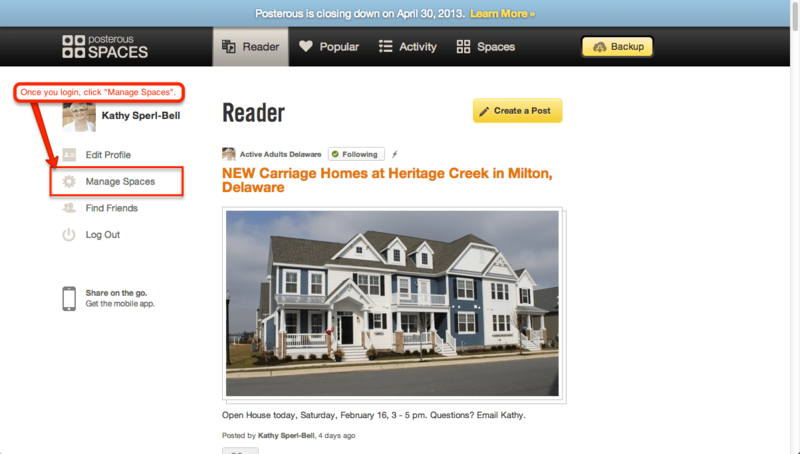 Now Posterous will be no more on April 30. RIP Posterous! The genesis of our fascination with Posterous actually began in 2008 when Brad meet the founder of Posterous, Sachin Agarwal at Blog World in Las Vegas. Brad even asked Agarwal; “how do you pronounce your platform?” He replied; it’s pronounced “pah-ster-ous”. I was reminded on numerous Google+ threads how “back in the day” the Dakno Boys led REBarCamp sessions on Posterous. We shared why it was so cool and that it was a “Caveman Easy” tool to make blogging easier and less time consuming. For many real estate agents blogging just didn’t “compute”. It was too hard. Too time consuming. We figured if we could convince agents that if they had a phone and it could take a photo and email it to Posterous, they could be content generators. The “icing on the cake” was if agents set up their Posterous account on a sub domain, they could add more content to their online marketing hub and gain a little SEO. 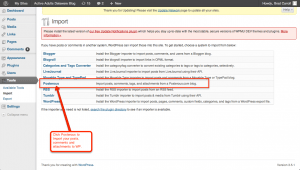 Hurry – Import Your Posterous Content to Your WordPress Blog! Take heart. 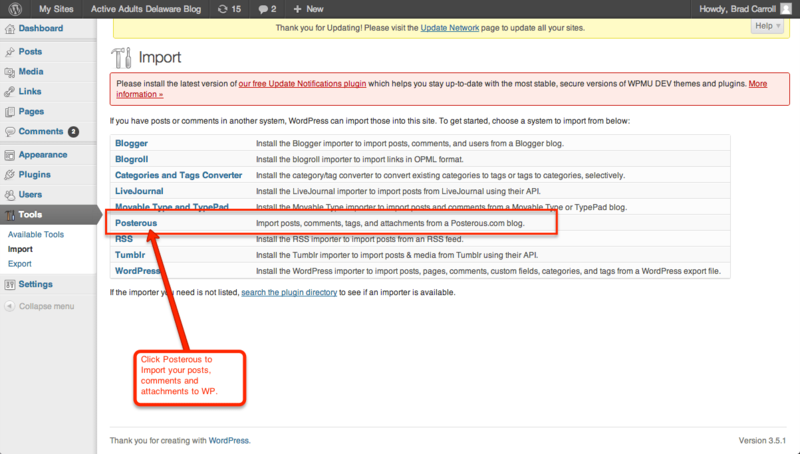 You salvage all of your Posterous posts, comments and attachments by importing that content to your WordPress blog. It’s actually “caveman easy”. Gosh, I love saying that! 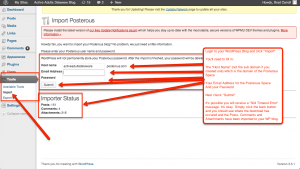 Below are the visual steps to importing your Posterous blog to WordPress. 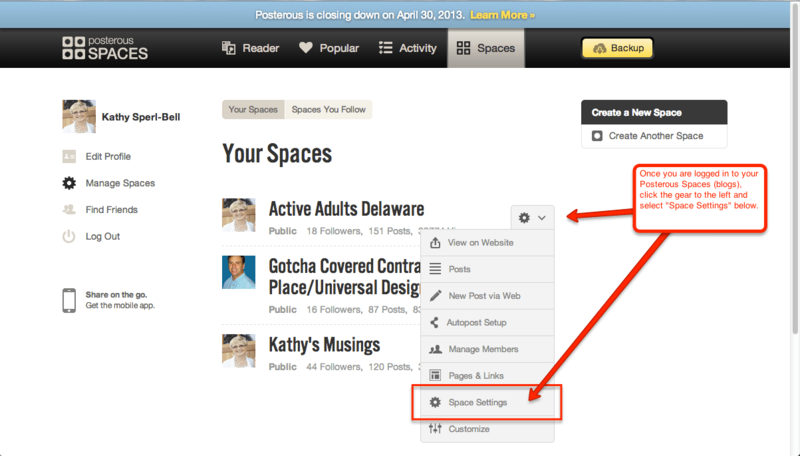 Step 1 Login to your Posterous site and click “Manage Spaces”. Step 2 Click the “gear” and select “Space Settings” below. 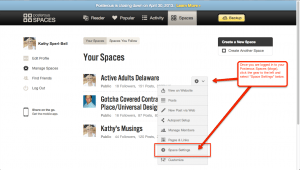 Step 4 Copy and paste the domain of your Posterous blog. 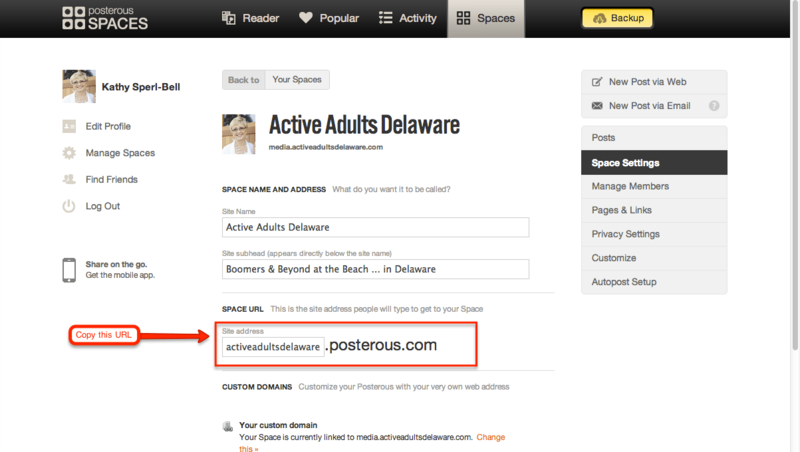 In the above example, it’s “activeadultsdelaware.posterous.com”. 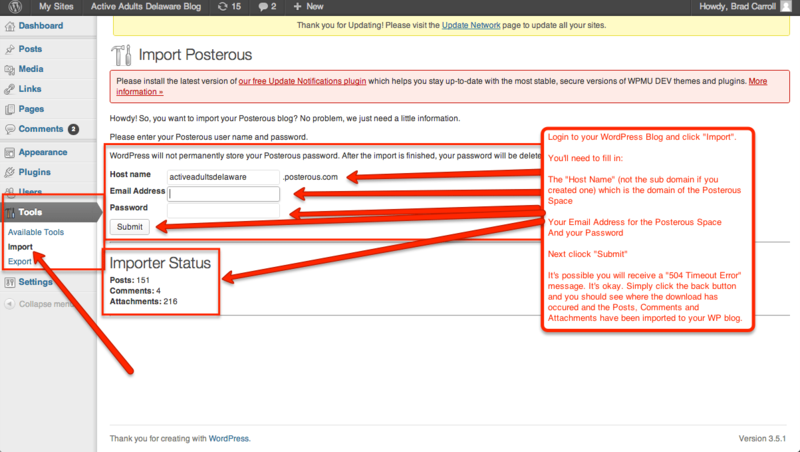 Next, login to your WordPress Blog and activate the Posterous Importer Plugin. Your plugins can be found in your Dashboard. If you don’t have that plugin you can find it here. Step 6 Copy and paste the domain of your Posterous blog into the plugin. You can navigate to this location via “Tools” and then “Import”. You’ll need to enter your Posterous user login credentials, your Posterous domain and click submit. Don’t be alarmed if you receive a “504 Timeout Error” message. It’s okay. Simply click your browser back button and you should see where the download has occured and the Posts, Comments and Attachments have been imported to your WP blog. The import should be fairly easy if you followed these steps. What are Your Fond Memories of Posterous? How many posts did you create on your Posterous blog? What were the characteristics you liked best about the platform? Bobby Carroll – The Senior Member of the Dakno Boys!